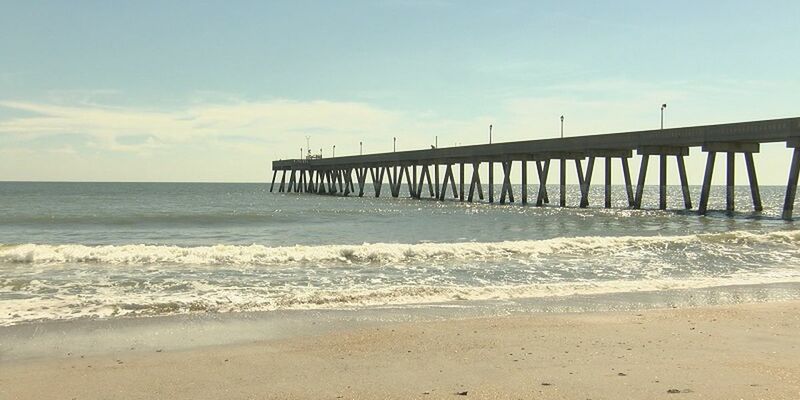 WILMINGTON, NC (WECT) - After Florence slammed our area, a lot of pollution has poured into our ocean water. NC Dept of Environment and Natural Resources have been testing our waters to check for bacteria. They have reported higher amounts of bacteria in the water. Coastal Federation is advising everyone to stay out of the ocean water. Any contact with the water could cause health risks such as problems to eyes, throat and stomach issues. Wrightsville beach resident Jazz Undy, took a dip in the ocean and immediately regretted it. “I’m a little hypochondriac I guess in looking at if I have a cut or something, is there some sort of fungus growing on it, do I have a third eye growing,” Undy said. All the bacteria and pollution from inland areas have flooded from the rivers pouring into the ocean. Unfortunately, this is taking a toll on marine life. “We’re seeing things like dead dolphin, lots of dead birds that’s probably a combination of fatigue and direct storm effects and also could well be some of what they are ingesting following the storm,” Coastal Federation, Tracy Skrabal says. Marine fisheries does not have a date when it will be safe to swim again. Until then, take precautions and stay away from going in the ocean water.